The first time I saw Star Wars as a child, I was hooked. The creatures, the spaceships, the planets and the characters, and oh… a princess who was far from a damsel in distress. So I was shocked and saddened, as I’m sure many of you were, over the news that Carrie Fisher had passed away last week. Carrie Fisher was a larger than life character, fun but with much sadness in her life, with a stoic attitude to get through – much like the character of Leia Organa, that she is best known for. 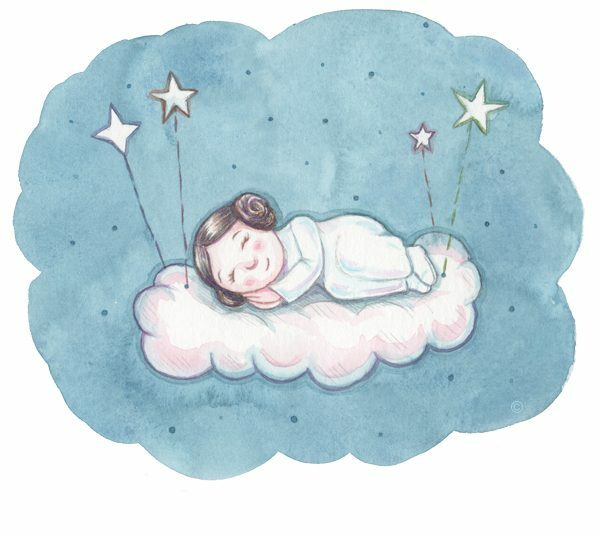 So to process her loss I worked on this illustration, sweet dreams little princess, goodnight Carrie, I’ll love you forever and ever for being a role model to a quiet little girl who loved drawing! Girls can do anything!